The world’s most advanced muscle builder for dogs. 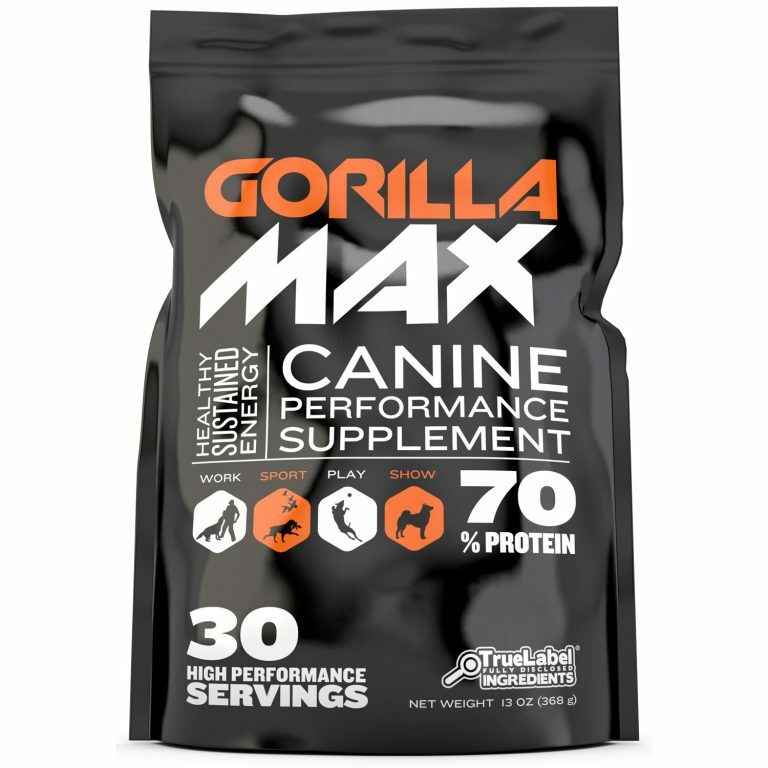 Gorilla Max is an ultra-effective muscle building supplement for dogs. 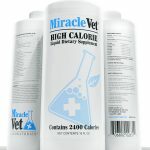 Is it right for my dog? If you want to pack on muscle and size onto your dog, Gorilla Max is the right product to add to your dog’s diet. Gorilla Max is suitable for every breed of dog ages 12 weeks and older. Gorilla Max is used by over 392,042 dog owners worldwide. Yes, Gorilla Max is completely safe. It DOES NOT contain harmful ingredients such as creatine, steroids, artificial flavors, colors, or preservatives. 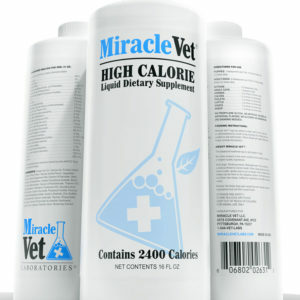 It’s made using ALL-NATURAL ingredients that are veterinarian approved. It’s also the only product with the TRUE LABEL GUARANTEE. Which means there are no mystery ingredients (also known as proprietary blends). Every ingredient is clearly listed on each bag. 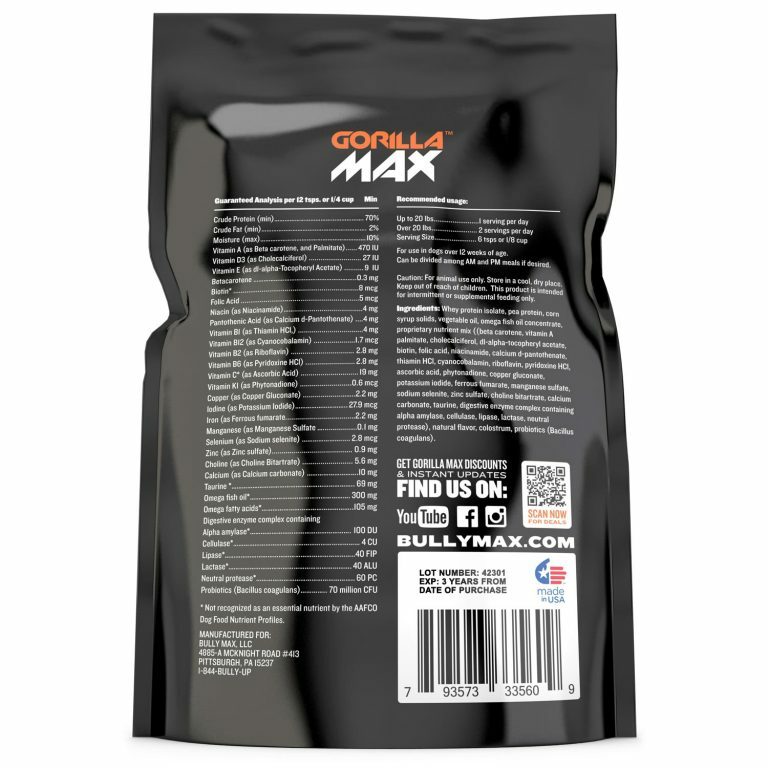 We recommend adding Gorilla Max to your dog’s first meal of the day. 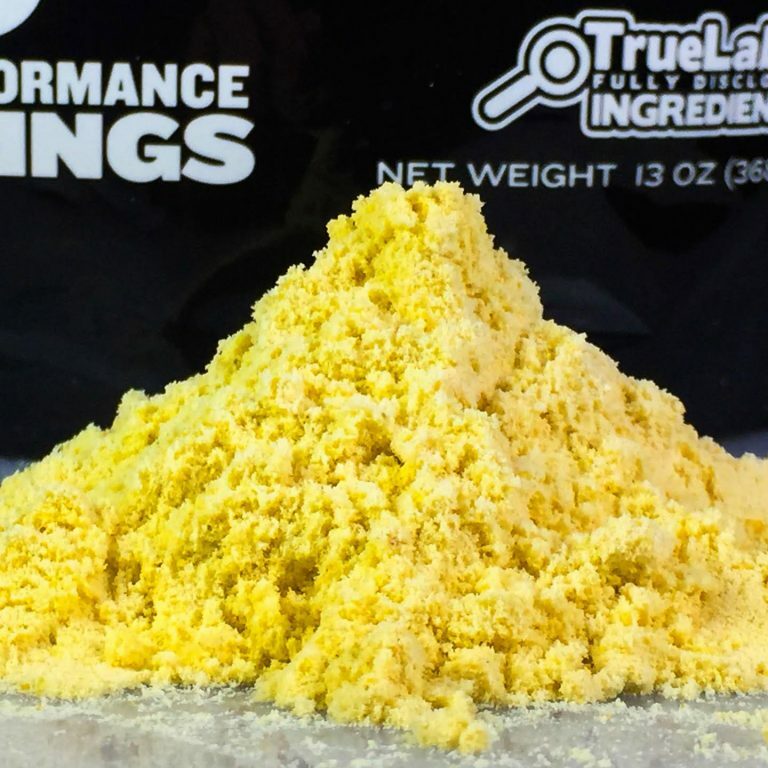 It comes in a powder form that dogs love. Just mix a 1/4 of cup with water with 1 serving of Gorilla Max and pour over top of your dog’s food. It can also be mixed with plain yogurt and fed to your dog right off of the spoon. Do you need to work your dog out? Workouts aren’t required. However, workouts will increase the benefits of Gorilla Max. A simple spring pole set up in your backyard is enough to get the most out of the product. You can get the parts for a spring pole at any hardware store for around $10.00. Once you have the parts put together, you can hang them from a tree, under a deck, or from a wooden or steel beam. How long do until you see results? Results are seen within 3 weeks. You will continue to see results the longer you use the product. It’s also safe to use year round. What happens when you stop using it? If you stop using Gorilla Max your dog will not lose the result that were gained. You can use it for as little or as long as you would like. All products have the benefit of a 100% satisfaction or your money back guarantee. If for any reason, you don't love the product, we'll send a return label and refund 100% of your purchase price.